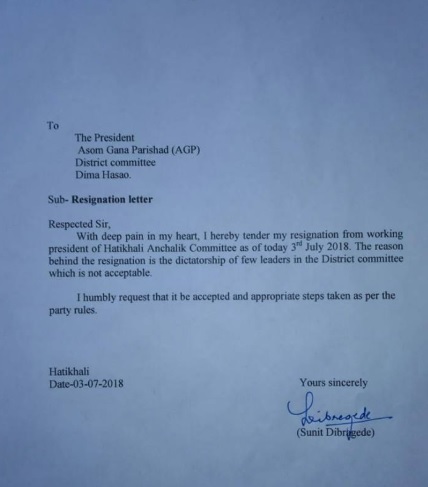 In the latest political development, AGP Hatikhali Anchalik Working President Sunit Dibragede has tendered his resignation from the party on Tuesday. 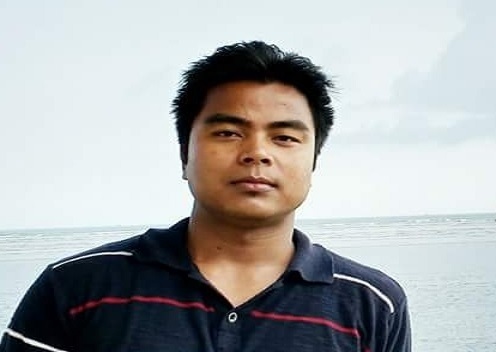 In his resignation letter sent to the Dima Hasao district AGP president Dibragede expressed his resentment against ‘dictatorship’ of few leaders of the district committee. 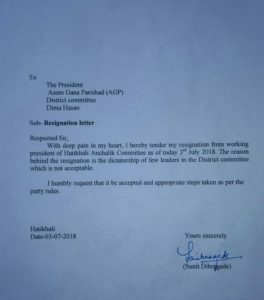 “The reason behind the resignation is the dictatorship of few leaders in the District committee which is not acceptable,” Dibragede stated in his resignation letter in an apparent dig at the former CEM and AGP leader Debojit Thousen. Dibragede is likely to join the fledgling Hills People’s Forum floated by Samarjit Haflongbar.